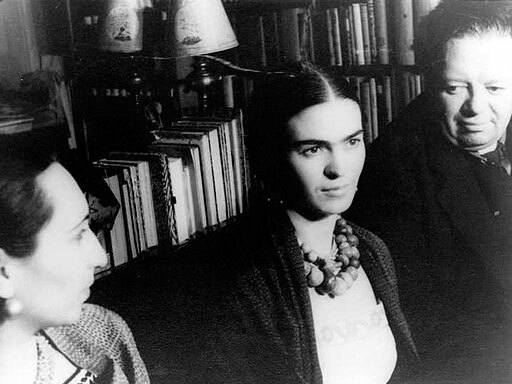 (CBS) Happy Birthday Frida Kahlo. One of Mexico's most celebrated painters would be 103 today, were she still alive. Kahlo fans are honoring her life and Google has graced its homepage with a Frida doodle. On canvas, Kahlo was known for an intense honesty and a gory mixing of fantasy and fact, but her real life was also a sad and painful medical story. And, according to the Smithsonian, she actually considered becoming a doctor rather than a painter. Kahlo caught polio as a child, but overcame it, eventually learning to dance and play sports. As a young woman, she was in a terrible trolley accident. Her spinal column was broken, her left leg smashed, and her right foot crushed. An iron handrail pierced her pelvis, perhaps leading to her inability later in life to carry a child. After the accident, Kahlo was bedridden for months and, according to her website, began to paint the plaster corsets which held her in place. A special easel was created so she could paint lying down, and her mother placed a mirror on the ceiling over her bed. In 2006, a team of Lithuanian researchers argued that Kahlo also had spina bifida, a birth defect that can cause deformities of the legs and spine and create chronic pain. The researchers also noted how "many of her best-known works depict her physical suffering: her bleeding, broken and weeping body. Her paintings and drawings are like medical case reports." In 1953, her leg was amputated, a result of gangrene that the researchers believe she contracted during an unnecessary surgery. "They amputated my leg six months ago, they have given me centuries of torture and at moments I almost lost my reason. I keep on waiting to kill myself," she wrote in her diary, according to the researchers. "I hope the exit is joyful," she wrote in her last entry. "And I hope never to come back." Kahlo died on July 13, 1954. The official cause of death was pulmonary embolism set on by pneumonia, but some have speculated that she overdosed on pain killers. Despite her physical ailments, a life of chronic pain, and scores of surgeries to put her back together again, Kahlo's talents as a painter were irrepressible. It's best summed up by the love of Kahlo's life, Mexican painter Diego Rivera. "I recommend her to you, not as a husband but as an enthusiastic admirer of her work," he once said to Picasso. "Acid and tender, hard as steel and delicate and fine as a butterfly's wing, lovable as a beautiful smile, and profound and cruel as the bitterness of life."